"This is cool," Ethan says, nodding toward his laptop screen. I glance over at a photo of a Rolling Stones concert t-shirt remarkably like one I had in high school. "If I knew back in 1978 that you'd want that, I'd have picked it up for you," I say. He's browsing on eBay where he's discovered a seller known as T-Shirt Time Machine. So far he has a 1988 Olympics t-shirt in his cart and a 1995 Rose Bowl sweatshirt from Penn State, the university that in less than six weeks will be his home. Less than six weeks until he heads off to college. Less than eight until I pack up our apartment, which has been my home for the last 21 years and Ethan's forever, to move in with Dan. Meanwhile, as tempting as it is to stay beside Ethan while he shops, I have my own time traveling to return to, revisiting history by sorting through the things we already own. In recent weeks, I've organized our photographs and cleaned out files, jewelry boxes, and the tool chest my dad dipped into whenever he did odd jobs around my apartment. I've donated huge trash bags filled with clothes to the thrift shop and cartloads of novels to the used bookstore. The reward is that, as I excavate, I find riches. My grandfather's citizenship papers dated 1914. A baby blanket my mom crocheted the year I was pregnant. 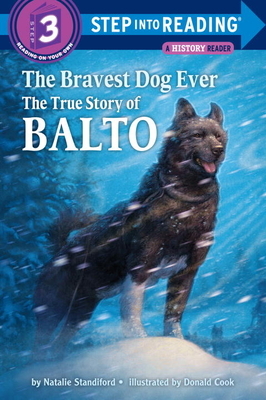 A cassette tape of seven-year-old Ethan reading The Bravest Dog Ever aloud in his sweet, raspy voice. "Huh," Ethan said when I showed him his first coverlet. "Weird," he said when I insisted he don my old Walkman headphones and listen to his younger self read. After each monosyllabic response, he nods once as both acknowledgement and dismissal, then lets his attention drift back to his laptop where, as often as not, he's browsing someone else's mementos-turned-merchandise on eBay. I find Ethan's response, or lack thereof, to our own antique treasures both ironic and baffling. This is us, I want to shout. Our family. Our history here in this home. Not that I don't understand the pull of T-Shirt Time Machine. For my own freshman year, I outfitted myself in 1950s cocktail dresses scored at thrift stores, flea markets, and the back of my mom's closet. I don’t tell Ethan this lest he abandon the eBay treasure hunt and buy all his clothes for college at the Gap. I wore those antique dresses because I loved the fit. Women tended to be smaller in what we used to call the olden days, so their clothes seemed sized for me personally. I also chose them to be original. Each vintage find promised to be one of a kind. Still, at least to some degree, my style sense was influenced by homesickness. When the weather dropped and the days grew short I wandered campus in a plaid blazer of my dad's with the sleeves rolled up and, beneath that, a black cashmere sweater with bands of white lace that had been my mom's. This was my way of keeping them with me just a little. The warmth of those fabrics with a hint of their scent allowed me to feel held. "Check this out," I say, coming upon the portfolio of self-portraits Ethan drew on the first day of school from kindergarten through eighth grade. I line the coffee table with pictures but he only gives his artwork a passing glance. Maybe he's just not a sentimental person, I think. The other day, when I asked him outright what he'd miss about our town, all he came up with were sandwiches from the good Italian deli. But as I watch him, his blue eyes glued to the computer screen, I realize he's intent on not letting his gaze fall on his old drawings. Finally I get it. The fact that I'm unearthing this stuff now taints it all with our leaving. Less than six weeks until he heads off to college. Less than eight until I pack up and move in with Dan. If someone were to ask me my prevailing emotion as I prepare to leave the home where I raised my child, my answer would be as terse as Ethan’s responses to me have been. I ache. Don't get me wrong. I've looked forward to living with Dan for years now. I love his house in a quiet neighborhood on a tree-lined block. I love him deeply and indelibly, and am grateful for this lovely and loving alternative to an empty nest. Nonetheless, our moving marks the end of what may well be the most crucial era of my life. The mommy years. Of course I ache. Surely Ethan must too. His entire childhood happened here. But 17-year-old boys are not known for discussing their feelings. So, as I drag out our relics, he finds ways to escape the ache he'd rather not name. Perhaps the fact that his vehicle of choice is a T-shirt Time Machine is no accident. I think of how much easier I sometimes find it to cry over a wrenching scene in a movie than over the heartbreaks and losses in my own life. If sadness can free-float, landing on something at a remove to soften the sting, I suppose nostalgia can, too. I tuck the drawings back in the portfolio to look at later. "Did you see anything else you like?" I ask Ethan, sitting beside him again. Beautiful, and beautifully written. This resonated so deeply with some of the own current changes in my life. Wonderful writing as usual, Ona! Have a great move, and Ethan will be fine. If you let him go now, he'll come back to you later. That's the best advice I can give re him. As for you, you'll be better than ever! Thank you, Hettie and Erika, for your kind and buoying words! !